The modem works as a bridge. 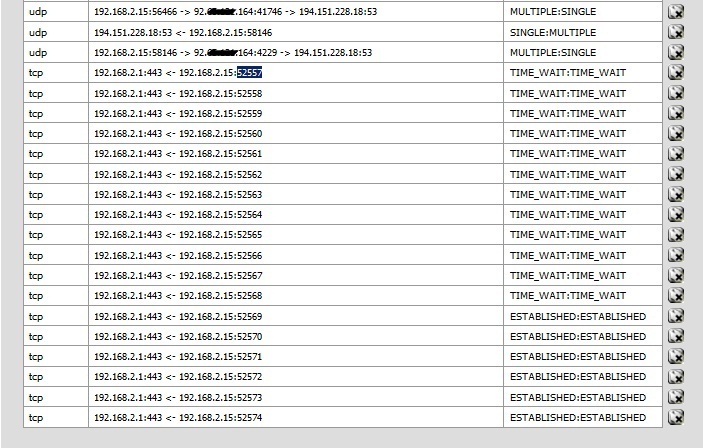 I have 5 IP addresses given by my ISP. I have to server with 2.1 addressen and DNS from my ISP. Works fine for accessing the internet from the servers. The problem is the other way around. 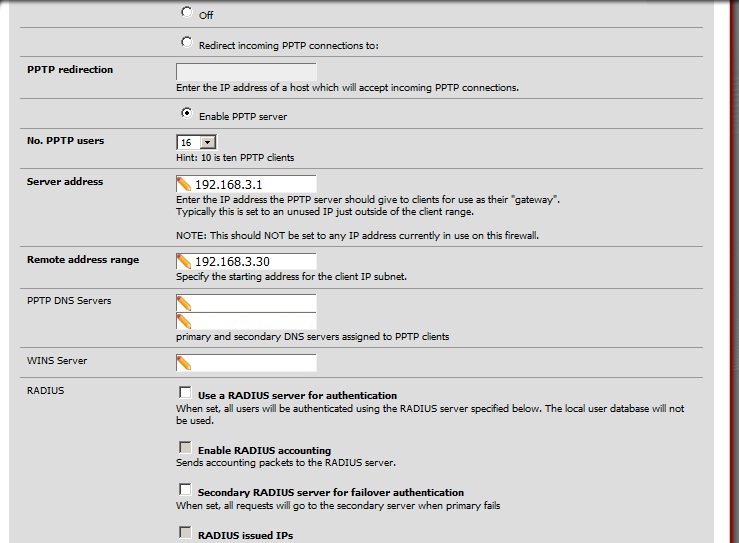 I cannot acces the Pfsense from an outsides network (Office, home) i set up an PPTP server with a user. If im on the network 192.168.2.1 i can VPN with windows to that IP with the user i addes myself. Only i cannot acces the PPTP from outside. When i check with canyouseeme.org if my 1723 is open on my 92.x.x.164 it says its open. 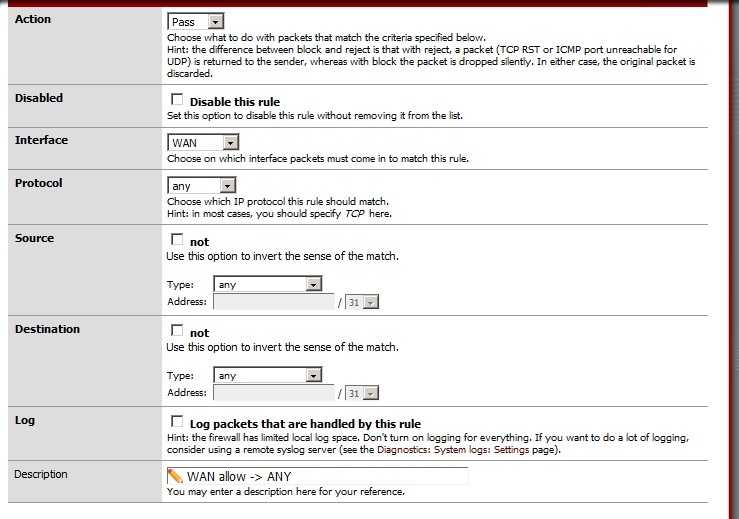 What rules you have on WAN and PPTP interfaces, how you have setup pptp server? Screenshots would be nice to have if possible. I have Wan set to Allow Any. Same for PPTP. This is the log. 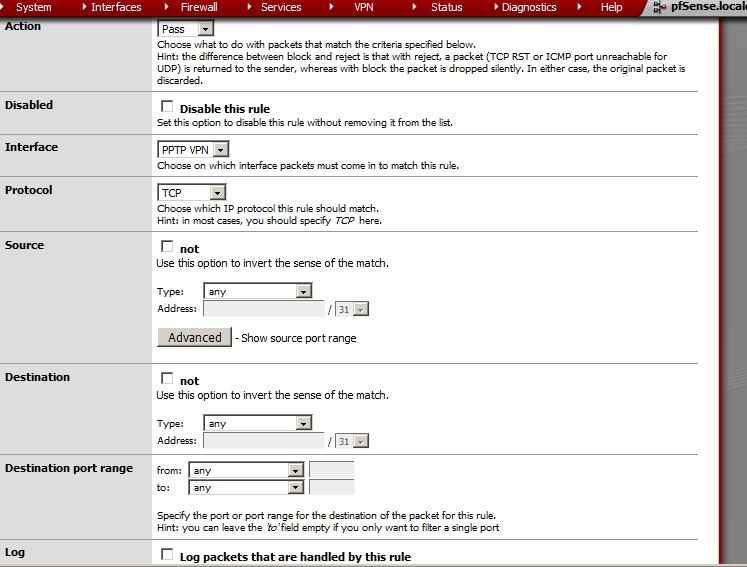 It looks like it trys al kind of ports to acces the PPTP on the PFSense? Did that. no luck! I can only still connect VPN from only within the LAN. Made 2 rules like you said. does your modem support pptp passthrough? is it enabled?